First published in the Jewish Press. Settlers and Religious and Likudniks, Oh My! Several weeks ago, Amos Oz, Israel`s leading literary light, wrote in the Times of London that Israelis living in the territories, the so-called settlers, were religious fanatics who wanted to topple Israel`s democracy, create a parochial state under the rule of the rabbis, and keep the Palestinians in perpetual subjugation. The day the article was published, Oz also read it on a BBC radio broadcast. To anyone familiar with Israel and its history in the territories, Oz`s thesis is, of course, absurd. The settlement movement was originally developed by secular Labor Zionists and the great majority of those who live in the “settlements” are secular Israelis. There are very few Israelis indeed who wish to create a rabbi-ruled state, and the religious community has always, in fact, embraced the widest range of views regarding disposition of the territories. And while Oz, as he has always done, casts the territories issue as a struggle between those who want to hold onto everything and those who want to relinquish everything, the vast majority of Israelis, both secular and religious, favors a goal of separation from the bulk of the Palestinian Arab population and retention of areas most vital to Israel`s defense, a goal supported by the drafters of UN Security Council Resolution 242 passed in the wake of the 1967 war. How then is one to construe Oz`s attack on the religious, certainly not new for him, and his choice of British media as the venue for his screed? One must start with recognizing the pedigree of Oz`s bias. Its roots lie in the swamp of European anti-Semitism. A common, recurrent phenomenon among Jews under attack, as among other besieged minorities, is their embracing the indictments of their attackers, however bigoted and outrageous, in the hope that by reforming themselves accordingly they can win relief. More particularly, many Jews have chosen to construe other Jews across social, economic and cultural divides as the true target of the anti-Semites and their reform as the key to salvation. Were not anti-Semitic journals and cartoons a hundred years ago filled with caricatures of Jews in religious garb, and was not anti-Semitic rhetoric – both of the Left and the Right in Europe – targeted particularly at the Jewish commercial class? Many Jews, including many of those who filled the early ranks of Russian socialist Zionism, decided that it was the religious and bourgeois Jews who incited anti-Semitism. These early Zionists embraced the anti-Semitic bias as their own and envisioned building in Zion a New Jew untainted by traditional religion or middle class values and so destined to be accepted as equals among the nations. One consequence was that, upon assuming political control of the Yishuv, the socialist Zionist leadership sought to limit the immigration of Jews they deemed too religious or too bourgeois and therefore a threat to the building of a “normal” state tha would win wide acceptance. Even in the 1930`s when Ben-Gurion, in the face of the growing threat in Europe, urged his fellow labor Zionists to support a campaign pushing for massive immigration and challenging British limits on Jewish access to the Yishuv, the biases of his colleagues led them to reject such an effort. The same bias inclined many socialist Zionists to interpret Arab hostility during the Mandate years as they construed European hatred – as really a reaction to the ways of religious and bourgeois Jews and resolvable by building a socialist Zion that would make common cause with their worker/brothers among the Arabs and thereby bring an end to animus on the other side. Martin Buber, in an even more dramatic _expression of Jewish self-effacement in response to hatred, wished to address Arab hostility by having Jews forswear building a state of their own, and he insisted that depriving Jews of a right accorded virtually all other peoples was the ethical thing to do. Buber also shared many of the biases of the socialist Zionists. In a paper written shortly after the founding of the state, he argued that all was well in Palestine until the fourth aliyah of 1924-28, when middle-class Polish Jews came in, and then the arrival in the 1930`s of middle-class German Jewish refugees fleeing Hitler. Both, Buber maintained, disrupted the organic, gradual development of the Yishuv exclusively according to socialist agrarian principles. In his view, these immigrants also thereby compromised the potential for rapprochement with the Arabs. After the 1967 war, the Arabs declared their “three no`s” – their rejection of negotiations, recognition of Israel, and peace. The PLO reiterated its dedication to Israel`s annihilation and resumed the terror war against the state. At the same time, the authors of UN Security Council Resolution 242 supported Israel`s retaining some of the captured territory for reasons of security. Oz, however, insisted that it was Israel`s presence in the territories that perpetuated the conflict and that withdrawal from the captured territories would open the way to peace. In addition, even though it was the Labor Party`s policy to seek a territorial compromise in which Israel would annex key strategic areas, Oz argued that the impulse to hold onto any part of the territories reflected an extremist tribal mentality infused with the worst elements of the Jewish legacy, including a parochial turning away from the wider world. His logic – which reveals how much his perspective reflected a wish to appease Israel`s detractors – was that this must be true because Israel`s neighbors and much of the rest of the world were against the nation`s retaining any of the captured land. In effect, the measure for Oz of proper Jewish behavior was Jewish accommodation of the world`s demands, which are assumed to be fair, just and forward-looking. Very few in the labor Zionist camp followed Oz in these views; most supported Labor Party policy on the territories. But beginning in 1977, when Likud first won an election and for the next fifteen years either led or were equal partners in the nation`s governments, this changed. Even though anti-Israel rhetoric and behavior remained essentially the same, more and more labor Zionists embraced the view that return of all the territories would bring peace, that there were no securit reasons for retaining any of the territories, and that it was the Old Jews – the religious and non-socialist constituents of Likud, who were supposedly insisting solely for benighted religious and historical reasons on staying in the territories – that were the obstacle to peace. Labor`s election victory in 1992 was won on the party`s traditional platform that emphasized pursuit of territorial compromise, with Israel retaining key strategic areas, and rejected negotiation with groups dedicated to the state`s destruction. But the Labor leadership soon capitulated to those, including Oz, who insisted peace was at hand if Israel would only recognize the PLO and cede it the territories, and the nation embarked on the disastrous path of Oslo. To be sure, Oz has on occasional moments demonstrated a spark of self-doubt regarding his sanguine view of Palestinian and broader Arab intentions, his blaming of Israel, particularly the religious, for persistence of the siege, and his conviction that the nation can win peace by sufficient concessions. But his wish to believe his self-delusions has quickly overwhelmed such moments of doubt. For example, he at one point before Oslo expressed the view that it was the moral obligation of the “dovish Left” to be in the forefront of demanding Palestinian compliance with any agreements and to be “the first to take up arms” if the Palestinians continued to pursue a “phase by phase strategy” against Israel (a reference, of course, to the PLO`s 1974 Plan of Phases, which called for acquiring whatever territory could be gained by negotiations and then using that territory as a base for pursuing Israel`s destruction). 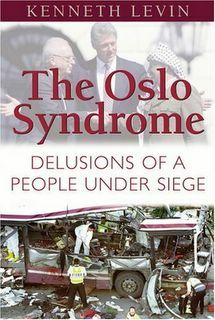 But when, in the months and years that followed, the Palestinian Authority routinely violated virtually all its security-related obligations, openly insisted that Oslo was merely the first phase of the Plan of Phases, incited its constituency to hatred of Jews as usurpers in Palestine with no legitimate claim to existence in any part of the land, and colluded in a campaign of terror that matched the worst Israel had ever endured, Oz chose to ignore the violations. Rather, he reserved his venom for Israeli critics of Oslo. But the man who had said that Israel`s doves must be the first to take up arms if the Palestinians violate their agreements with Israel and continue to pursue the nation`s destruction was quickly advocating a more pacific response to the terror war and excoriating Sharon for his military measures against the terrorists and their leaders. In addition, Oz was rapidly back to insisting that it was essentially Israel`s presence in the territories that was the obstacle to peace. But the pretending has been all on Oz`s part. Arafat and the Palestinian leadership, no less than the Islamic terror organizations, were stating very clearly their annihilationist objective, and their people have embraced that objective. Yet however loudly they proclaim it, Oz has covered his ears and tried to outshout them with what he is convinced – what his delusions tell him – they truly want. They truly want a state within the territories, he still insists, and if Israelis will only give up their religious-historical fixation on the territories, and not throw up what he proclaims are other bogus reasons for staying in parts of the territories, such as security concerns, if they will only give greater priority to peace and withdraw to the 1967 lines, all will be well. And if most Israelis are now less willing to buy into his distortions of reality, he will peddle them, as he has for decades, in Europe. And the rise in anti-Semitism in Europe in recent years has apparently made him all the more eager to do so. For the delusions have come full circle. A hundred years ago, the Russian socialist Zionists, in the face of rampant and vicious anti-Semitism, imagined that building a state of socialists and secularists was the key to assuaging the haters and winning acceptance for a reborn Zion. Today, Oz, heir to that mentality and seeing in England, for example, challenges to Israel`s legitimacy by media pundits and politicians and growing anti-Jewish bias, does what he chooses to believe is the proper Zionist thing. He will assure the British that it is the Old Jews in Israel, the religious, who are worthy of their hatred and are the obstacle to concessions and peace but that the New Jew, the Israeli secular Left, is prepared to make all manner of concessions and to live in peace with an Arab Palestine and so should not be hated. But, as has happened so often with Jewish indictment of other Jews as the source of anti-Semitism, Oz`s ugly attacks on the religious will likely only become more fodder for the assault on Israel. Yet we should not expect that any such response, from Europeans or Arabs, will shake Oz from his path. He has already sacrificed too much decency and conscience to his delusions and his related anti-religious bigotry, and – no matter how often or sharply confronted with countervailing realities – he obviously finds both the delusions and the bigotry too alluring to give up. The July terror bombings in London and other recent terror attacks triggered familiar strategies for curing this world sickness, including urging moderate Muslims to speak out against radical co-religionists. But there are individuals in the Arab world who are speaking out, who are forcefully advocating reforms that would undercut the breeding of murderous extremism, and their voices are all but ignored in the West. The Western media should be playing a vital role in publicizing these people's stories and winning support for them in their difficult efforts. Instead, America's major media have shown virtually no interest. Egyptian sociologist and human rights activist Said Al-Din Ibrahim has campaigned for open and transparent elections in Egypt, criticized the absence of basic freedoms, and urged an end to the abuse of Egypt’s large Coptic Christian population. Ibrahim was arrested in 2000 and sentenced to seven years in jail. He was released in 2002 and two years later was a key participant in a Cairo conference of reformists calling for religious as well as political liberalization and promotion of an Islamic reformation to counter the spread of radical Islam. Kuwaiti author and teacher Ahmed Al-Baghdadi has attacked the politics of tyranny that dominates the Arab world and taken to task Arab artists for being intimidated by their governments and not using their art for social and political criticism. Earlier this year, he joined several other Kuwaiti educators and intellectuals in criticizing Kuwait’s Islamic education curricula for purveying an extremism that helps foster religiously-inspired violence. Baghdadi complained that current teaching, "focus[es] on the Jihad verses and the war verses [of the Koran] and... that the infidel must be cursed." Baghdadi has repeatedly advocated education reform and liberalization. Tunisian human rights activist Muhammud Bechri has urged an Arab secular response to Islamism and has complained that, instead, "Arab/Islamic governments are rather colluding with the Islamists, hoping that anti-Western diatribes will help deflect the attack of the masses from their own failures." But Bechri also recognizes that secular alternatives are not necessarily panaceas and notes that Islamism is not the only murderous ideology popular in the Arab world. He points to the other of what he calls "the twin fascisms of Islamism and pan-Arabism" as likewise an ideological engine of mass murder. Bechri sees pan-Arabism at work in the Sudanese Arab genocidal campaign against the Muslim but black population of Darfur and in the wider Arab world's indifference and silence. These men, and scores of people like them, routinely risk imprisonment or worse for speaking out against the absence of basic human rights in every Arab state, whether Islamist or secular, American "ally" or enemy. They excoriate their regimes for abuse of women and minorities, absence of a free press and other democratic institutions, and the purveying of hatred of external enemies to divert popular attention away from domestic ills. One would think they would be celebrated in America's major national media, particularly the most self-consciously "liberal" news outlets. But rarely does the New York Times or Washington Post or National Public Radio cover their stories. (The Middle East Media Research Institute - www.memri.org - chronicles these people's efforts under "Reform in the Arab and Moslem World.") In this vital area of foreign affairs these news sources more typically betray liberalism. Their betrayal has consequences. Publicizing the reformers' stories would garner support for their struggle. It would also demonstrate to like-minded souls that such exertions are not quixotic, futile or ignored and might embolden others, presently cowed into silence, to join their efforts. Why are such people's stories so abysmally neglected? No doubt much of the explanation is that their message violates a common media bias. These individuals advocate Western-style reforms and Western freedoms, while the "liberal" media often lean to a moral relativism that views efforts to measure foreign governments by Western standards, or - even worse - efforts to export those standards, as culturally and morally insensitive, patronizing, even racist and imperialist. This tendency has only intensified since 9/11. Reformers in the Arab world routinely decry their governments' promoting hatred of outsiders - particularly America, Israel, Jews and Christians - for political convenience. They decry Arab regimes fomenting such hatred to the point of justifying mass murder and genocide in media, mosques and schools. The attacks of 9/11 should have rendered major media finally willing to report this story of fascistic indoctrination to hatred and mass murder. Instead, many outlets have seemingly become all the more averse to it, their moral relativism reinforced by fear and a wish to believe that the fault lies in large part with us and therefore that sufficient American sensitivity, self-effacement and dialogue will resolve the threat. Conveying the messages of Arab reformers in America's media would not only serve these people's cause at home and help counter extremism but would also better educate our own nation about the forces that drive the terror war against us. But don't hold your breath.